Another unique DiStefano Family Tannery Hide that we have hand selected for our Holster Edition of this celebrated Tuscan Colt Hide Leather strap. A wonderfully Military Vintage quality Italian Leather – Made from premium soft Colt Hide, the tri fold construction from lug to tail is both robust yet incredibly supple, thickness 4,5-4 – sewn in vintage buckle. 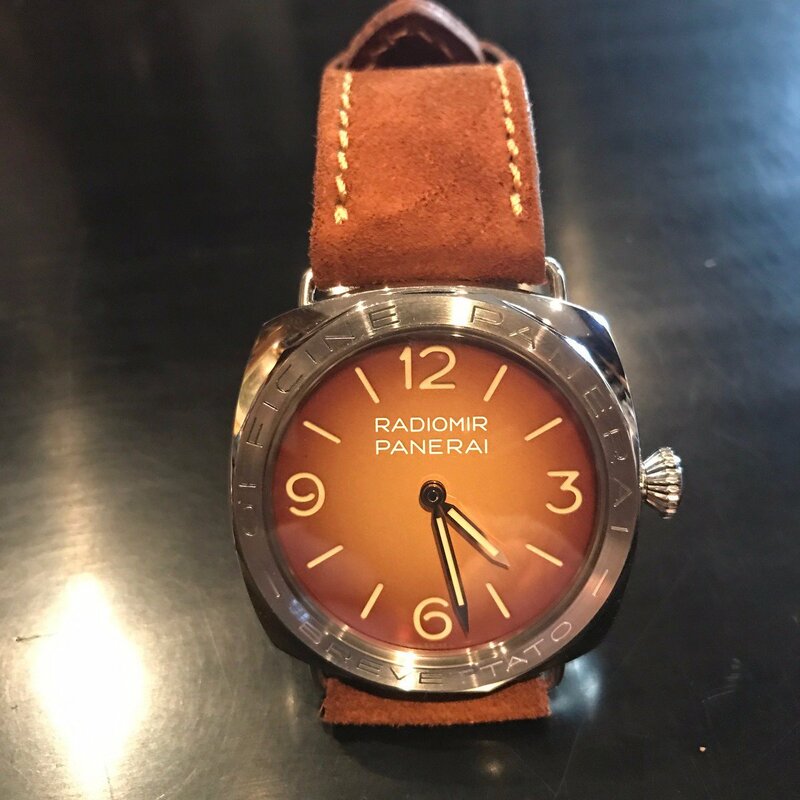 Holster Your Panerai and secure your watch.